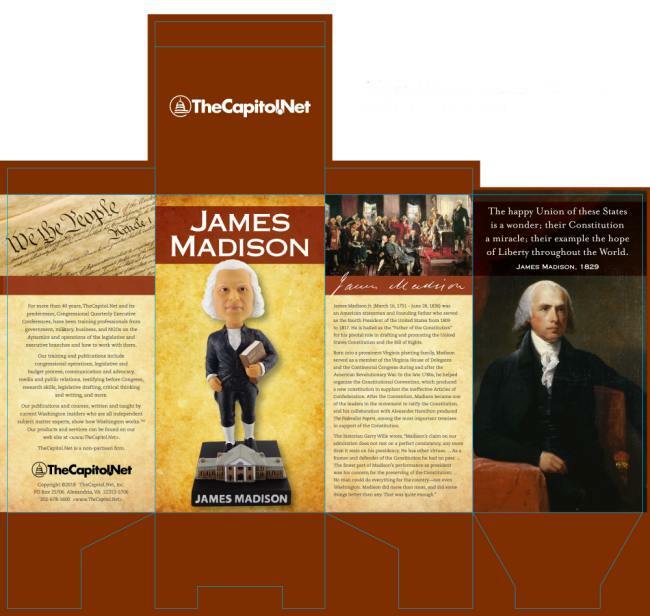 Bobblehead of James Madison, the Father of the Constitution. Limited edition of 1000, individually numbered. 7 inches tall. 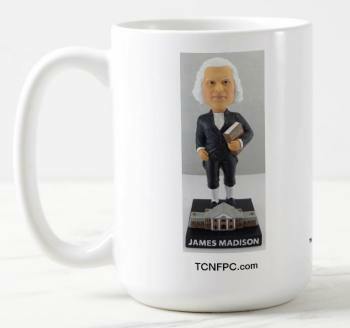 We do not sell our bobbleheads individually. If you get one we hope you enjoy it as much as we enjoyed making it. We are grateful to the good people at The Green Bag for inspiring us to make our own bobbleheads, which are made by Alexander Global Promotions.